Don't Get Lost For Words in Japan. Rugby World Cup 2019. 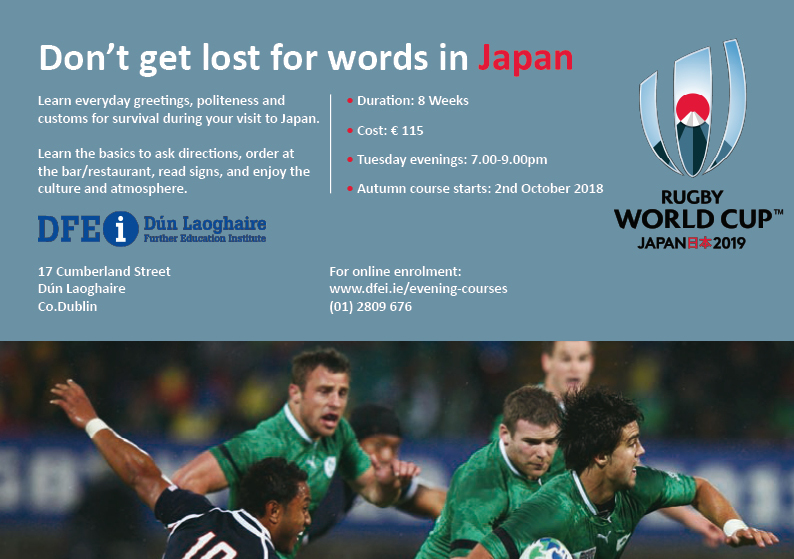 DFEi have launched a new evening class in Japanese. Learn everyday greetings, politeness and customs for survivan during your visit to Japan. 8 weeks, every Tuesday evening 7 - 9pm . €115.